Well, I got back to Maynooth from my little tour last night, on time and not too knackered. Credit where it’s due to Ryanair, in that all three flights I took last week (Dublin-EMA, Luton-Copenhagen, and Copenhagen-Dublin) were in good order and on schedule, as well as being very cheap. Today I’ve been in the office for a few hours catching up on some preparation for tomorrow’s teaching. I’m starting a new topic in my Engineering Mathematics module so had to assemble a new problem set for distribution. That done I downloaded a batch of weekend crosswords. I’ve decided not to buy any more British newspapers and to get my news instead from the Irish Times. However, the Financial Times, Guardian and Observer all put their prize crosswords online for free so I can keep up the crossword habit at a much lower cost. It’s interesting that two of the three winners are based in Ireland, though I would not wish to over-interpret this datum. 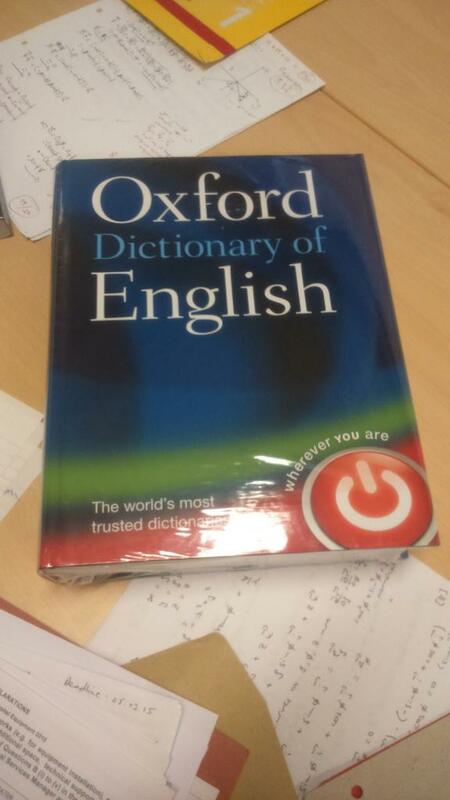 The Meaning of Everything: The Story of the Oxford English Dictionary, not a dictionary but a book about a dictionary. Meta. 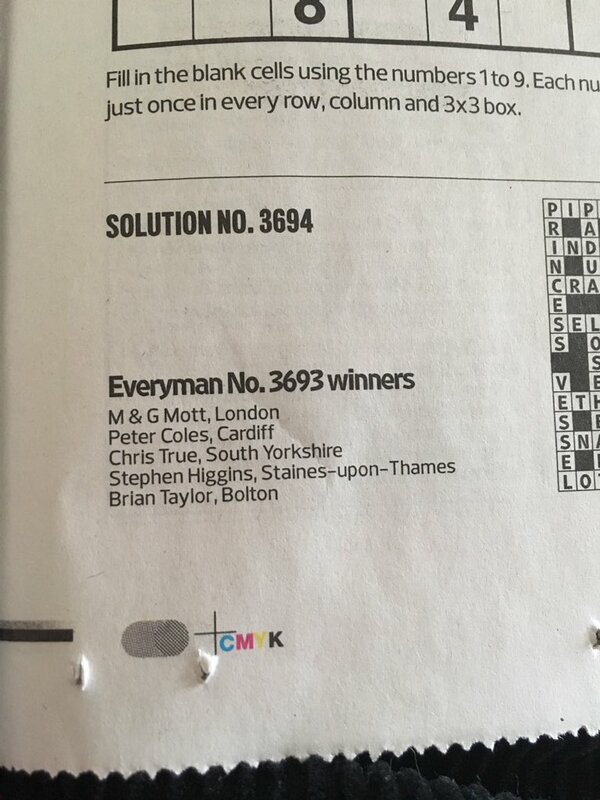 I had a nice surprise when I opened today’s Observer to the crossword page to find I had won a prize! The solution to Azed 2423 printed in the paper is not, however, as I remember it. Obviously there have been a few gremlins at the Observer. Although I’ve been doing the Azed Crossword for the best part of twenty years this is actually the first time I’ve won the regular crossword prize, in which solvers just have to send in a completed puzzle and the winners’ names are drawn out of a hat, as opposed to the Competition puzzle (which occurs roughly every 4 weeks), in which solvers also have to supply a clue for one of the answers in the grid. It’s also worth saying that this is the first crossword prize I’ve won from Ireland. 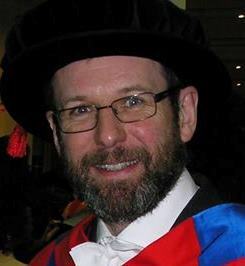 I have won a couple of other prizes (Everyman and the Times Literary Supplement) in the the past year, but I gave my address in Wales on both occasions as I was spending half time there and half in Maynooth for much of the past year. According to the &lit archive I’ve been sending in entries for about 18 years. Since 3/4 of the Azed puzzles are of the regular type that means that if I’d done every puzzle correctly for that period I would have about 18 × 52 ×¾ ≈ 700 chances to win, which gives a crude estimate of the number of correct entries that must be sent in each week. In fact I’ve missed quite a few and probably made some mistakes. Nevertheless, a weekly entry of several hundred seems a reasonable order-of-magnitude guess. The number that enter the monthly competition is somewhat lower (around 200 usually). I don’t need to guess that – Azed himself supplies the numbers via the Azed Slip. I’ve got a mediocre record in the Azed clue-setting Competition – I think I’m much better as a solver than a setter! – but have at least scored some successes and finished 15th (equal) in 2010/11. That turns out to have been my high-water mark, as I stopped doing the Azed puzzle regularly when I moved to Sussex in 2013, at which time I started doing the Beelzebub puzzle in the Independent on Sunday. I only re-started buying the Observer when the Independent stopped producing a print edition in March 2016. So far I’ve struggled with the clue-writing, but I’ll soldier on with it and hopefully will hit some form at some point. Three puzzles into the latest season I’ve scored three HCs, which is at least consistent. Officially `HC’ means Highly Commended’ but I translate it as `Hard Cheese’. One needs to get a VHC (`Very Highly Commended’) at least to score points so I’m still just an `Also Ran’ this year. I got one VHC last year and hopefully can improve on that this time round, with ten puzzles still to go. Incidentally, looking at the latest Azed Slip I notice that there are several solvers in Ireland. I’ve never noticed that before. I wonder how many have moved recently, like me? À la PM’s disco dancing? Here `possibly’ is the anagram indicator, which is fair enough, but for me the surface reading barely makes sense. Azed is the only judge, however, and he generally does seem to cut people quite a bit of slack when they attempt this type of clue. Fifty years old, and starring the wonderful Beryl Reid, here’s a classic sketch about (of all things) … crosswords! I’m abroad at the moment so failed to take my regular Sunday morning stroll to the local newsagent to pick up a copy of the Observer. I had to rely on Twitter, therefore, to tell me that I’ve won another prize in the Everyman competition. As usual, though, the winning clues were far better than mine! I won’t have time to do the latest competition puzzle, which is a shame because it involves a Playfair codeword, like the one I blogged about here. About two years ago I stopped buying the Observer on Sundays and switched to the Independent on Sunday. That decision was largely based on the cost of the paper rather than the quality of the crossword, but I ended up trading the Observer’s Azed and (easier) Everyman for the Sunday Independent’s Beelzebub and (easier) OUP Prize Cryptic. 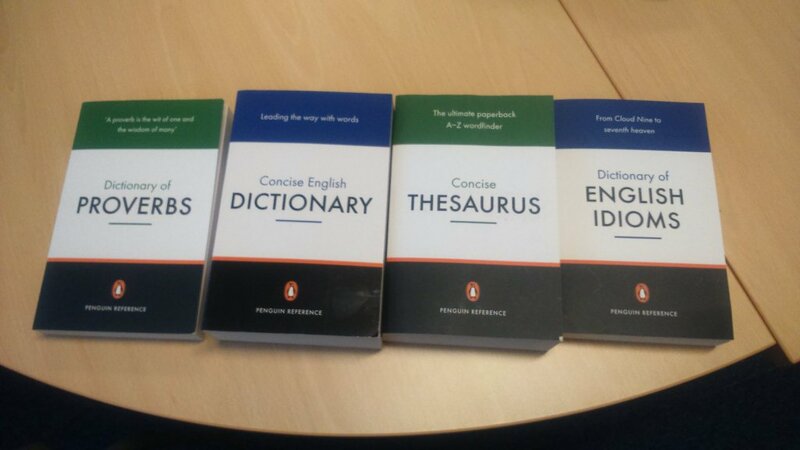 It’s paid off in terms of prizes – I’ve completely lost count of the number of dictionaries I’ve won from the Independent competitions. In fact, statistically speaking, there’s nothing significant in this gap. Even if my grids are all correct, the number of correct grids has remained constant, and the winner is pulled at random from those submitted (i.e. in such a way that all correct entries are equally likely to be drawn) , then a relatively long unsuccessful period such as I am experiencing at the moment is not at all improbable. The point is that such runs are far more likely in a truly random process than most people imagine, as indeed are runs of successes. Chance coincidence happen more often than you think. It’s the prize for winning Beelzebub 1303, the rather devilish prize cryptic in the Independent on Sunday Magazine. It’s nice to get back to winning ways. Now what’s the betting I’ll now get a run of successes? P.S. I used the title “Law of Averages” just so I could point out in a footnote that there’s actually no such thing.